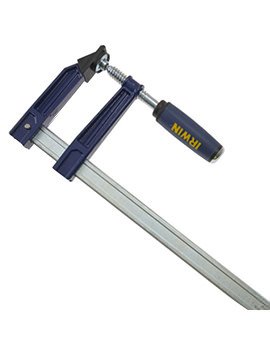 A clamp is a tool that employs at least one movable grip which can be adjusted to fasten objects together and immobilize them. It's a simple concept that can adapt itself to any imaginable project. 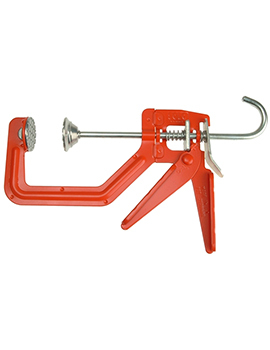 Whether you're working with wood, plastics, metal or assembling anything with more than one component, a clamp exists to temporarily secure your elements. They compress until you can join your objects permanently or perform whatever action you intend upon them. 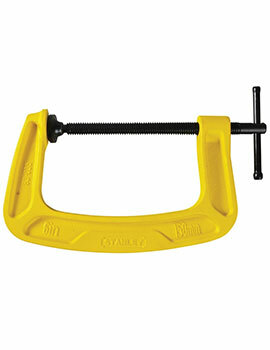 Buying the right clamp depends entirely on the nature of the task you wish to complete. 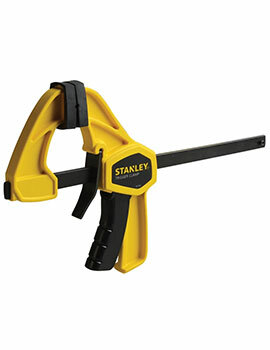 Hand-held clamps suffice when gluing or making minor welds. 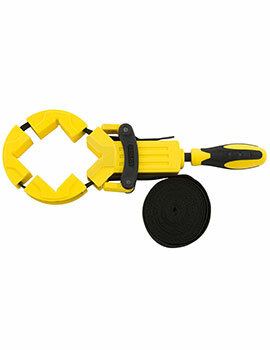 Larger F clamps that can be attached to a bench can stabilize bulky items. 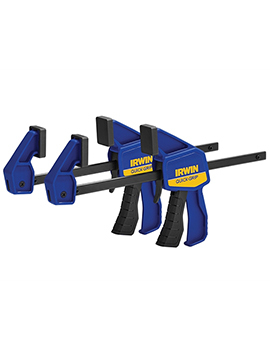 With 179 clamps of all types available at Builder Depot, we're certain we have the tool for your task. Please feel free to speak to our representative who can help guide you to the right clamp for your needs. Carver Rack: Established in 1776 and quite possibly the oldest manufacturer of clamps for welding and machining. 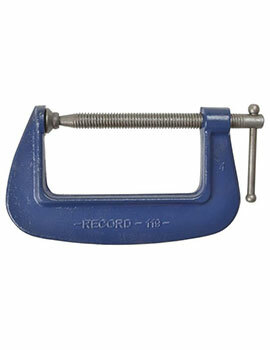 G Clamp:Used regularly in carpentry and welding, a G clamp (also known as a C-clamp) appears like the letter G. With a rounded shaft or bar, it holds together items in smaller jobs where fairly light force will do. One jaw rises to meet the other by turning the tommy bar at the base of a screw. 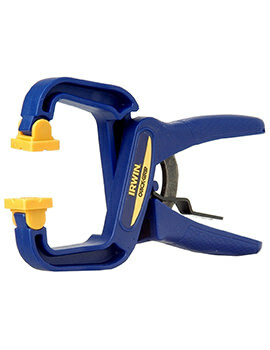 Locking: This adjustable clamp works like the G clamp except that it has a squeezable grip handle that applies the last bit of force and locks the jaws in place. 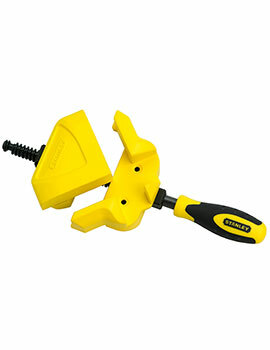 Speed F Clamp: Also known as a bar or pipe clamp, the speed F clamp moves the jaws together along a bar. 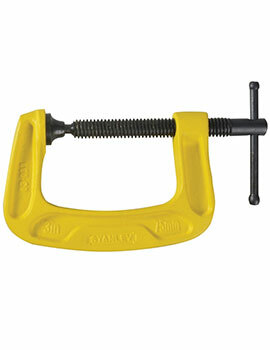 The straight bar, along which the jaws slide, evokes the letter F. With many configurations available, the F-clamp can be adjusted to handle larger jobs and applies considerably more force than a G clamp. 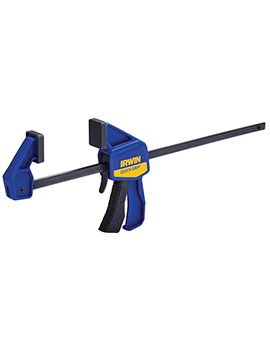 Speed clamps feature a tightening screw, set at the outer ends of the jaws, turned with a comfortably thick handle instead of a tommy bar. 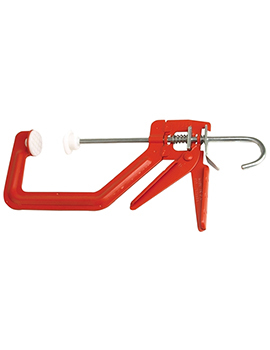 Quick Grip Bar Clamp: The quick-grip clamp is another version of the F-clamp, only it offers a squeeze grip that moves the slide with a ratchet mechanism. 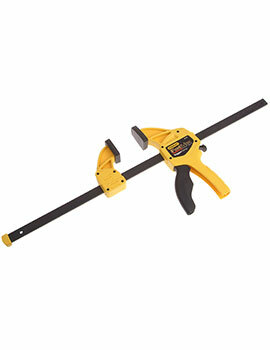 Like the locking G clamp, you grasp the quick grip to set the lock. Releasing is as simple as pulling up on the lock. 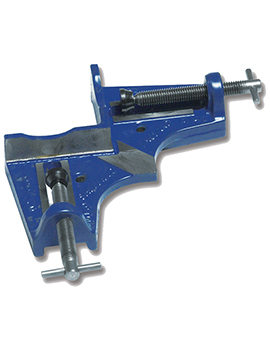 T Bar Clamp: Looking down the long end of this clamp, you see a flat steel bar topped with a slight perpendicular bend on either side, forming the T. The flanges create the track for the jaw slides. 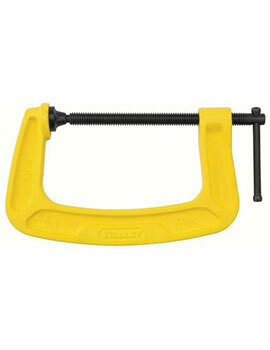 One slide locks into one of the holes placed in intervals along the shank while the other slide moves with a screw. 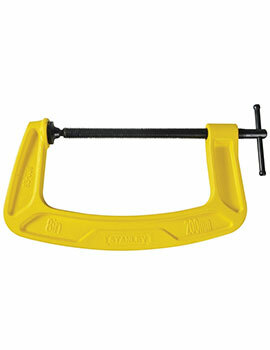 This is another version of an F clamp. 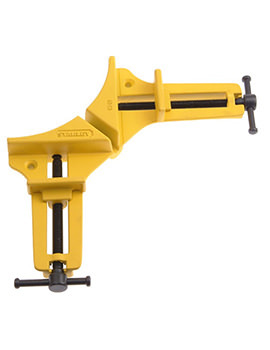 Sash Clamp: With this configuration of the bar clamp, the movable slide is separate from the fixed head and is pushed down the bar by a screw running through the head. It's often used in sets when laminating wood. 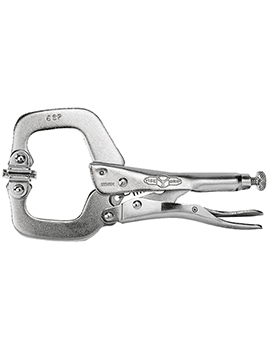 Trigger/Ratchet Clamp: This is another quick-grip clamp which utilizes a ratcheting trigger handle to constrict the slides. 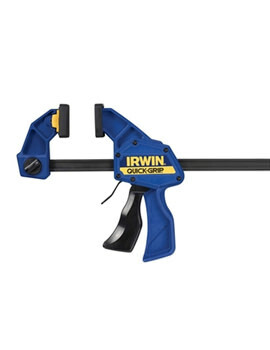 A quick release button on the trigger grip restores a little play in the compression so you can make adjustments before locking the pieces together.